CALCUTTA–The United boys basketball team rallied back from a 16-point halftime deficit to down Beaver Local 60-56 on Tuesday. Landon Baker and Parker Hydrick each scored 21 points to lead the Eagles. Baker grabbed 12 rebounds, while Brutus Ogilvie dished out five assists. The Eagles trailed 32-16 after two quarters. Logan Reed scored 14 points to lead the Beavers. Luke Chetock added 10 points. United won the jv game 69-37. Nate Miller led the Eagles with 18 points. UNITED SCORING: Nick Rhodes 1-0-3, Keaton Baker 1-0-2, Parker Hydrick 8-4-21, Ethan Antram 0-0-0, Brutus Ogilvie 2-2-6, Anthony DiBaggio 1-0-2, Landon Baker 7-7-21, Alex Birtalan 1-2-5. TEAM TOTALS: 21, 13-23: 60. BEAVER SCORING: Nathan Barber 2-0-4, Luke Chetock 3-4-10, Tate Joseph 3-1-8, Josh Hilditch 4-0-9, Logan Reed 6-0-14, Jaden Kiddey 3-1-9, Grant Hall 2-0-4, Ryan Cunningham 0-0-0. TEAM TOTALS: 23, 6-11: 56. Three-point goals: United 3 (Birtalan, Hydrick, Rhodes), Beaver Local 6 (Kiddey 2, Reed 2, Hilditch, Joseph). VIENNA — Mathews ran wild on Leetonia with a 95-58 win on Tuesday night in out-of-conference play. Leetonia is 2-17 and hosts East Palestine on Saturday. 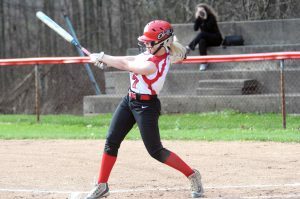 SEBRING — Mahoning Valley Athletic Conference leading Waterloo made short work of Sebring with a 53-31 win on Tuesday. Gabe Lanzer had 14 points and seven boards for the Trojans, 10-8, 5-8. Sebring is at Mineral Ridge on Friday. The Vikings won the jayvee game, 45-33. WATERLOO SCORING: Kyle Shockley 6-0-14, Caleb Francis 5-0-10, Max Adelman 2-0-4, Vaughn Dorsey 5-0-11, Joe Ward 6-1-14. TEAM TOTALS: 24, 1-2: 53. SEBRING SCORING: Jake Hunter 0-2-2, Joey Clark 2-0-5, Matt Byrd 0-0-0, Zane Peterson 3-2-8, Gabe Lanzer 6-0-14, Trent Ritchey 1-0-2. TEAM TOTALS: 12, 4-8: 31. Three-point goals: Waterloo 4 (Sockley 2, Dorsey, Ward), Sebring 3 (Lanzer 2, Clark). MCDONALD — Zach Rasile’s assault from behind the arc continued as he netted 41 points in McDonald’s 86-57 win over Western Reserve on Tuesday. Rasile recently set the Ohio high school record for three-pointers in a career. Caleb Quinn had 17 points for Reserve, 4-14, 2-10. W. RESERVE SCORING:Riley Miller 3-2-11, Todd Henning 3-2-10, Ryan Gordon 1-2-4, Preston Reed 1-1-3, Caleb Quinn 7-3-17, Noah Klasic 3-4-10. TEAM TOTALS: 19, 14-16: 57. MCDONALD SCORING: Zach Rasile 13-6-41, Parker Higgins 0-0-0, Josh Celli 3-0-6, Cam Tucker 5-0-10, Dominic Cavkido 2-1-5, Ryan Scala 3-0-6, Logan Hawk 1-0-2, Jake Portolese 7-0-15, Tanner Matig 0-1-1. TEAM TOTALS: 34, 8-15: 86. Three-point goals: Western Reserve 5 (Miller 3, Henning 2) McDonald 10 (Rasile 9, Portolese). STRUTHERS — Chris Brooks had 18 points and South Range put the pressure on Struthers in a 67-48 win on Tuesday night at the Struthers Fieldhouse. The Raiders are 14-6 and 8-4 in the Northeast 8. Jaxon Anderson and Dante Digaetano had 12 points each for the Raiders. South Range won the jayvee game, 42-30. South Range is at Niles on Friday. S. RANGE SCORING: Jaxon Anderson 5-2-12, Ben Irons 2-3-9, Chris Brooks 7-4-18, Nick Matos 2-1-6, Dante Digaetano 3-6-12, Chris Brown 1-2-4, Sam Brooks 0-0-0, Brandon Mikos 2-0-6. TEAM TOTALS: 23, 18-30: 67. STRUTHERS SCORING: Tyrese Hawkins 0-1-1, Kevin Traylor 8-1-22, Jared Raczko 2-2-7, Carson Ryan 5-2-12, Anthony Smith 1-0-3, Trey Metzka 1-0-2. TEAM TOTALS: 17, 6-10: 48. Three-point goals: South Range 5 (Irons 2, Matos, Mikos 2), Struthers 7 (Traylor 5, Raczko, Smith). COLUMBIANA — Hours after he announced he would be continuing his football career as a preferred walk-on at Bowling Green State University, Parker Sherry had a game to remember on the basketball floor. Sherry had 21 points as the Bulldogs topped Heartland 75-63 on Tuesday. John Bertovich added 13 points, while Steve Darlington and Dom Posey had 11 and 10 points respectively. Joey Donofrio had 17 points for the Lions, 4-13. E. PALESTINE SCORING: Cooper Vance 1-2-4, Dom Posey 3-4-10, Steve Darlington 4-3-11, Parker Sherry 6-9-21, John Bertovich 4-4-13, Dom Lohr 0-1-1, Abel Figley 6-1-15. TEAM TOTALS: 24, 24-38: 75. HEARTLAND SCORING: Cade Roth 2-7-13, Joey Donofrio 8-1-17, Beckett Richards 5-1-16, Ronnie Matthews 4-1-10, Steven Baker 3-1-7. TEAM TOTALS: 22, 11-17: 63. Three-point goals: East Palestine 3 (Figley 2, Bertovich), Heartland 8 (Richards 5, Roth 2, Matthews). 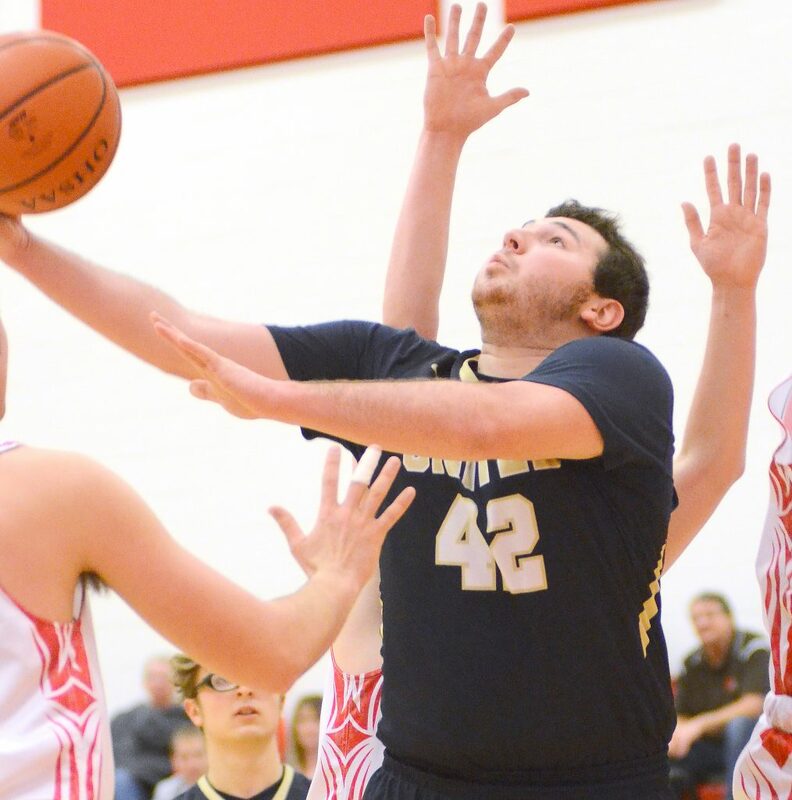 LOWELLVILLE — Matt Hvisdak had 28 points as Lowellville powered past Springfield 57-48 on Tuesday in Mahoning Valley Athletic Conference play. The Rockets (13-5, 9-4) had a 31-20 lead at the half. Drew Clark had 14 points for the Tigers, 14-4, 10-3. Clay Medvec and Beau Brungard had 12 points each for the Tigers. SPRINGFIELD SCORING: Evan Ohlin 1-3-5, Clay Medvec 4-1-12, Drew Clark 5-1-14, Shane Eynon 0-5-5, Beau Brungard 5-0-12, Garrett Stallsmith 0-0-0. TEAM TOTALS: 15, 10-16: 48. LOWELLVILLE SCORING: Micah Mamula-Zarlingo 4-1-10, Matt Hvisdak 10-6-28, Jake Rotz 2-0-4, Cole Bunofsky 6-0-15, Dylan Durkin 0-0-0. TEAM TOTALS: 22, 7-15: 57. Three-point goals: Springfield 8 (Medvec 3, Clark 3, Brungard 2), Lowellville 6 (Bunofsky 3, Hvisdak 2, Zarlingo).